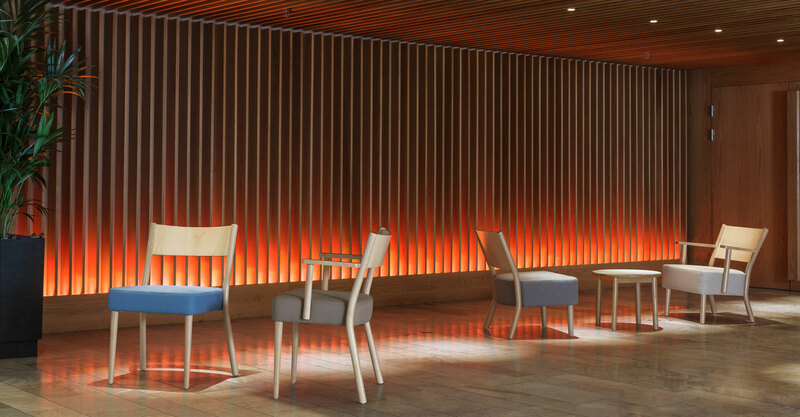 The family of simple seats brings together two wooden elements typical of Paged. The back leg formed as a subtle arc is made of bent wood, which adds dynamic expression to the collection. 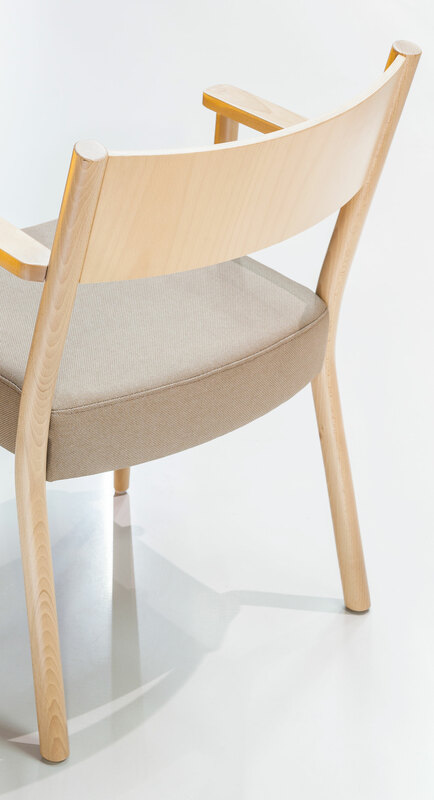 This effect is emphasised by a moulded plywood backrest. Upholstery belts are used in the soft seats to make them extremely comfortable.